THE REAL COSTS OF POLICY FAILURE | Thoughts of a Calabarboy. 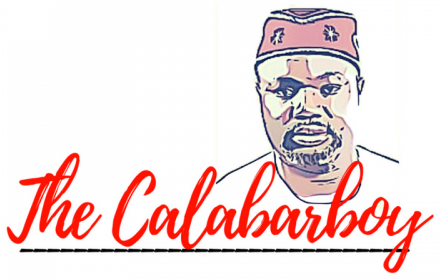 THE REAL COSTS OF POLICY FAILURE – Thoughts of a Calabarboy. The recent mandatory extension by nearly a month for primary and secondary schools to resume in Nigeria to enable the voters registration process, has sparked some ire within the circles of those who are advocates of better education in the country. But somehow such angst has not necessarily translated into an active debate on how the government remains very insensitive to some issues that impinge on a sense of good governance. I am very passionate about education and it seems to be the one issue I am daily engaged in as I read and research. When we were celebrating our 50th anniversary, I took out time to highlight the need to elevate the discussion on education to a national level, compared to debates on whether to hike the price of fuel or not. I am convinced that until it becomes that important, and people see it as a do or die matter, we will be playing into the hands of incompetence that which can likely determine our relevance in a competitive world in a few years to come. But despite the glaring need to reform this sector, and the seeming interest of the present administration to tackle the demons therein, we are seeing nothing but contradictions already from our leaders. I cannot understand why voters registration”must” be done within the vicinity of a public school. Aren’t there countless other venue to use in doing this? What’s wrong with other public spaces and arenas? Can’t even the innumerable churches lend their outer space for this purpose if the inner sanctum must not be desecrated by secular activities? Even though schools might seem to be the most appropriate place to do this, can’t our leaders for once see that some things are far too important and should not be compromised on? Even if for nothing, there is a symbolism attached to holding sacred the education of our children. Yet we felt it okay to go ahead and bite of weeks from the schedule of these kids and think they can effectively compete with their peers around the world. It seems we have so quickly forgotten that only last month the results of the secondary school finalist came out and shamefully, as has been the testimony of the last few years, only 62,295 of the 310, 077 candidates (20.04per cent), who sat for the Nov./Dec. 2010 West African Senior School Certificate Examination (WASSCE), obtained credits in English, Mathematics and three other subjects in the Examination. What country on earth will consistently have these kind of results and not declare a state of education emergency. The United States falling out of the top 10 countries in terms of education have already declared this a red alert and we only find amusing this despicable condition of ours. Our primary schools are no better. We are simply transferring poor students to higher levels with little or no preparation to understand higher concepts, which all take quality time and resource to achieve. Despite these issues being open knowledge and expectedly one in demand of urgent attention by our policy makers, yet we fail to show any level of national comprehension of underlying substantive problems we have to attend to. As a policy analysts, I often ask myself how decisions are made within our leadership. What is the process through which these decisions are made, how rigorous are they, and how subjected are these processes to thorough research and investigation? Because when one sees certain outputs, it gives you a brainwave to imagine what must have informed it. While I do not doubt the competence of some of the key technocrats within the leadership, however it is only by their fruits that you will know them. With an educational crisis in our hands, couldn’t someone tell Mr. President not to even entertain the thoughts of keeping schools closed longer than they should be? How do we explain the rationale for this terrible choice? The Minister of State for education stated that they didn’t want the children to be seen mixing with those who came for voter’s registration in the school compounds. You mean we do not have security operative that can be assigned to these venues to make sure that the process is orderly if these schools musty be used? We need our schools to be open and for our children to at the least be engaged in learning, no matter how mediocre the process may be. At least we can hope that someday it will get better. How do you begin to correct the broken calendar of the school year without slapdash-ing it? It is very clear that some people are really not thinking about the future and cost of reckless decision-making. You see, this is why we must make it clear what the real cost of policy failure is. We have always fixed our lenses on the people between the porches of power when government fails. We point to these mere mortals as the examples of our corporate failure and darken the thoughts with which we imagine them. But this is entirely very deceptive because these people have very little consequences upon the whole. The failure to manage their opportunities in leadership for national good will only remain a story. But we usually and almost always sell these stories at the cost of the real implication of government failure. When President Obasanjo promised to deliver on power supply and failed, we rubbished his reputation and administration as an utter disgrace to Nigeria. But we forgot to tell the real stories, the real stories of failure. Yes, it was not about the man OBJ, it was about the businesses that couldn’t run at optimal levels because they had no electricity. It was about the business that couldn’t start because of the cost of running it. It was about the ideas that lay fallow because the infrastructure to power it was too expensive or non-existent. It was about companies that couldn’t come into the Nigerian market because our power infrastructure cannot meet international standards, Yes it was about the many unemployed but employable youths who couldn’t find jobs because the companies that would have offered such cannot operate here. These are the really costs of policy failure. On the other hand, because the impact of bad decisions are difficult to measure, we play down their real cost and think that by overlooking them things will get back to normal. But we shouldn’t forget that is how we got here in the first place. We reduced our funding for education and a few years later, voilà! Here we are today with a broken system no one seems to be willing or capable of fixing except for the graceful small-measured contributions of many well-meaning Nigerians and private organizations. It only takes one instance of a wrong choice to create a generational shift from the path of progress. Ask our founders as our history is replete with bad decisions. There is a child who will be overtaken by social vices because they have stayed home longer than necessary. There will be kids who are burdened with an overload of school work beyond what they can cope with all because we are trying to make up for lost time. Sadly still, there will be those who will not understand anything through the school term because the teacher will be struggling to run through a course work in a shorter time. These are the real costs of this bad decision. And unless we call it what it is, people are going to get away with this and no one will be held accountable. I wonder what will ever get the average Nigerian on the street in protest? Is it only when the price of our food is increased or when we are cheated of our votes? Or is it only when our salaries are not paid or we feel repressed and oppressed by brutal leadership? Some oppressions are more subtle that others and are unquantifiable in their effect. When our children’s learning is sacrificed on the altar of a mismanaged electoral process, it is an oppression that is waiting to break our backs in the future. And the cost of this failed policy is one far too heavy to bear. → CAVEAT!!! FOR BROTHERS ONLY: TOP 14 BIBLICAL WAYS TO GET A WIFE. The long and short of this issue (like many others of the sort) is that we (still) have bad leaders. Leaders who are not (for a sec) interested in the welfare of the citizens when in fact their own kids are not here to share in the conseque…nces of their decisions. Most of their kids are in Uk, Germany etc for study getting quality education so they can come back and take the positions of their fathers and continue to subjugate the average Nigerian. Well, it’s up to the people to see this for until we see these guys for who they truly are, we might keep condoning the same set of criminals who rob us in broad daylight because we lack knowledga, courage and are easily satisfied with few naira as consolation. You have aptly captured some of the consequences of this bad decision but Reg, the average Nigerian is satisfied with very little (mediocre). It’s like using the tamed animal to hunt and then giving it just a very small chunk of meat. If left to hunt in the thick, it will eat to its filling, hunt when it wants and not have to be driven by a master. This is how the average Nigerian man/woman is. I break my head on a wall almost everyday with this mentality. Just maybe we had been enslaved for so long, we can not even start to fathom being free. Nigerians are lily-livered people who will rather stay subdued than die fighting for what rightfully belong to them. As it is, the number of people who know these things and are willing to even die for the cause are so scanty compared to our population of over 150million (dunno when the next census will hold to tell us how many we are). Well, having identified this sha, I think most of the change process for now will be educating some of our young Nigerians about this struggle and just maybe their eyes will open.